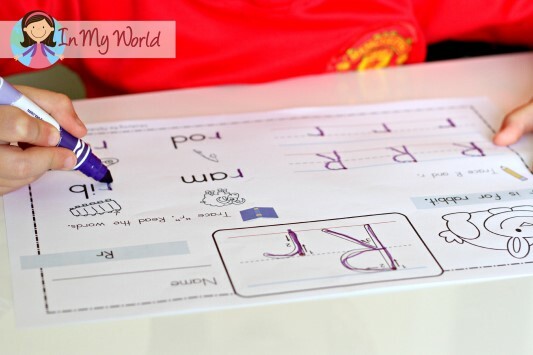 Preschool Letter R was a fun and colourful week for us! 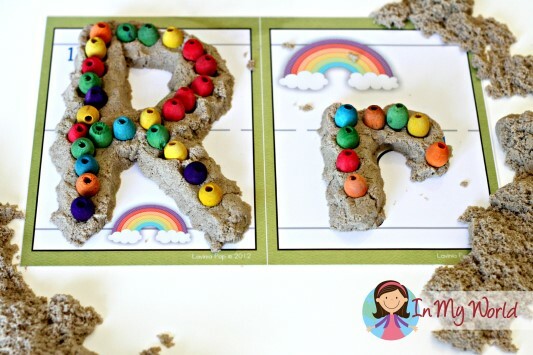 We started with our letter R play dough mat! 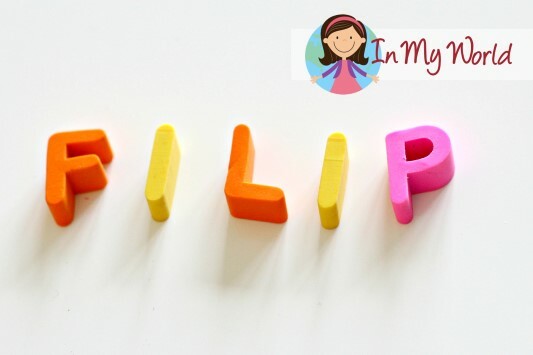 Filip shaped the letter with kinetic sand and then he pushed some colored wooden beads into the sand. 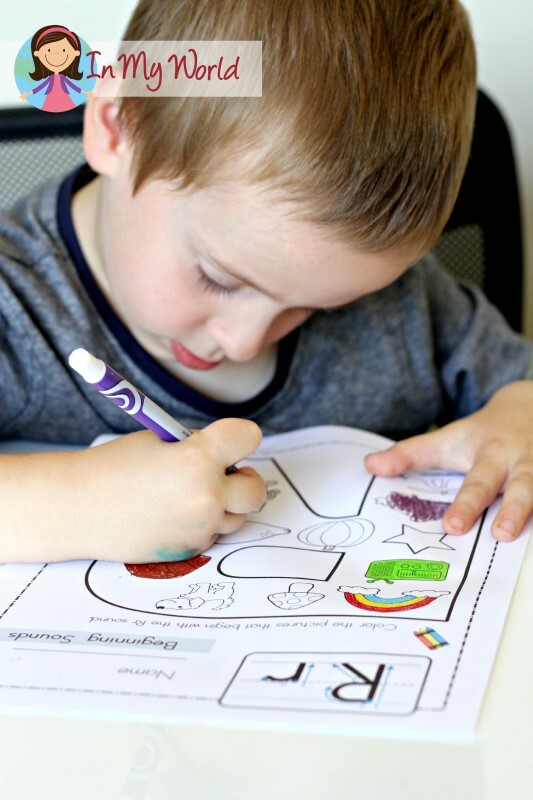 Then Filip coloured all the pictures the begin with the “r” sound with the letter R page from my Beginning Sounds: Color It unit. 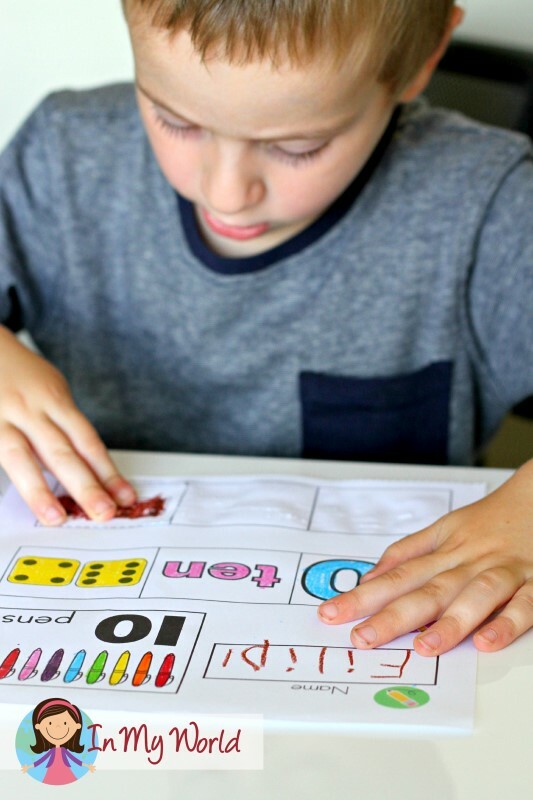 He also practiced writing upper and lower case R, saying the the “r” sound as he went. 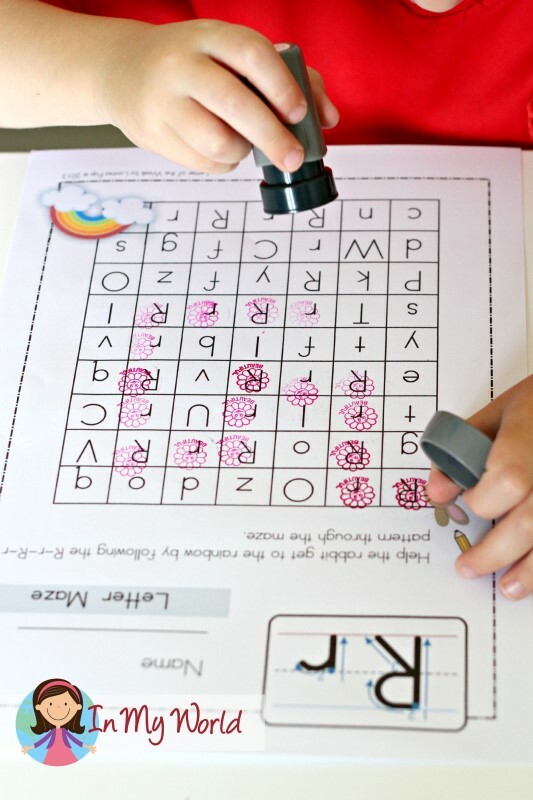 (Alphabet Write and Wipe packet). 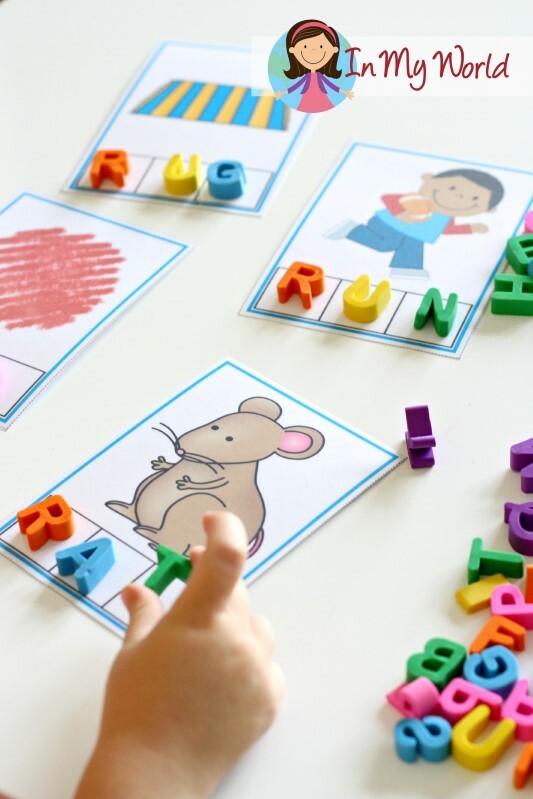 And then we sorted the letter R cards from my Sound Hound unit. We moved on to the Numeracy part of our table work. 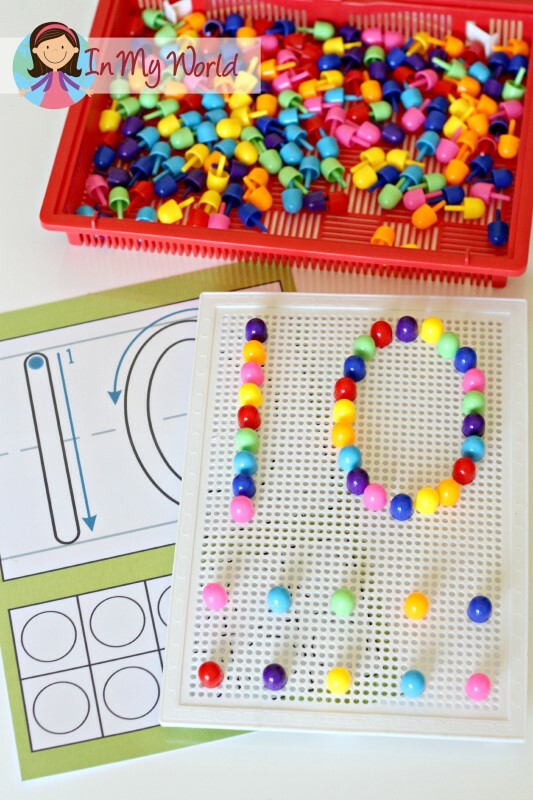 This week, the focus was Number 10. 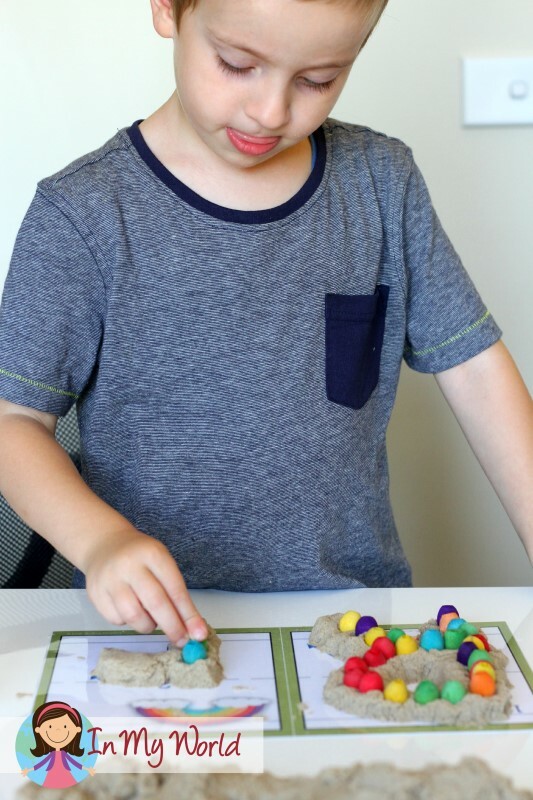 I placed the Number 10 play dough mat under the mosaic pin board and Filip placed the pins following the directions on the mat underneath. Easy-peazy and so much fun! 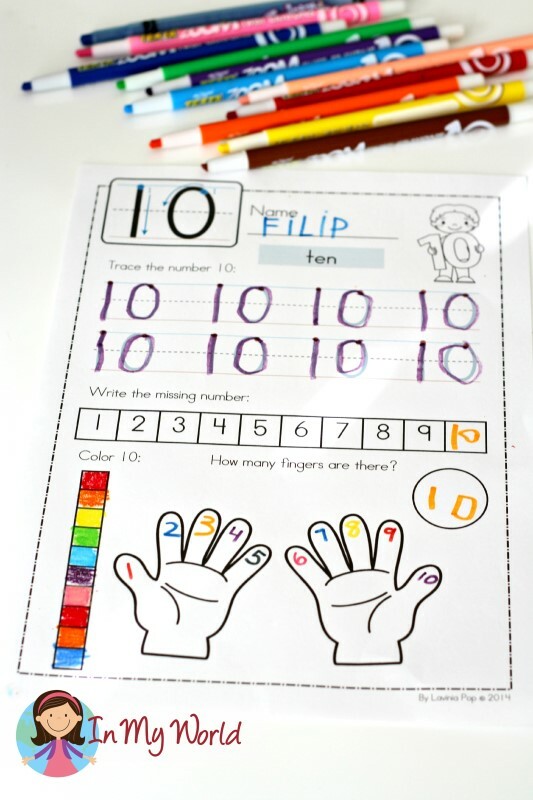 We finished Day 1 with our Preschool Numbers cut and paste 10 page. We started Day 2 with an upper and lower case R maze. 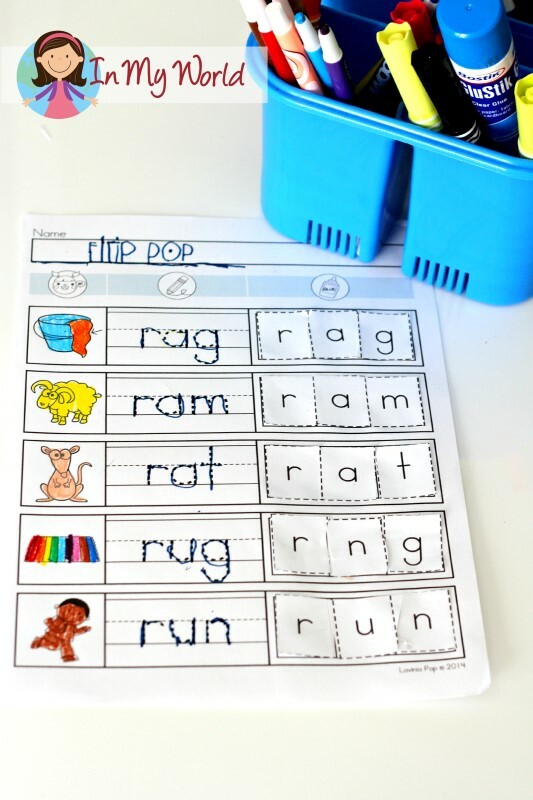 Then Filip practice writing upper and lower case and reading some CVC words. 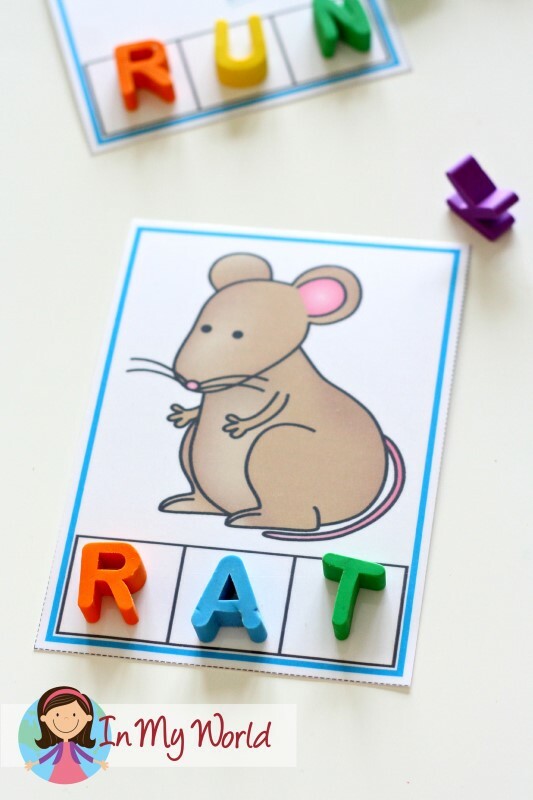 Next, Filip read the beginning letter R CVC words from my CVC Word Slider Cards unit. 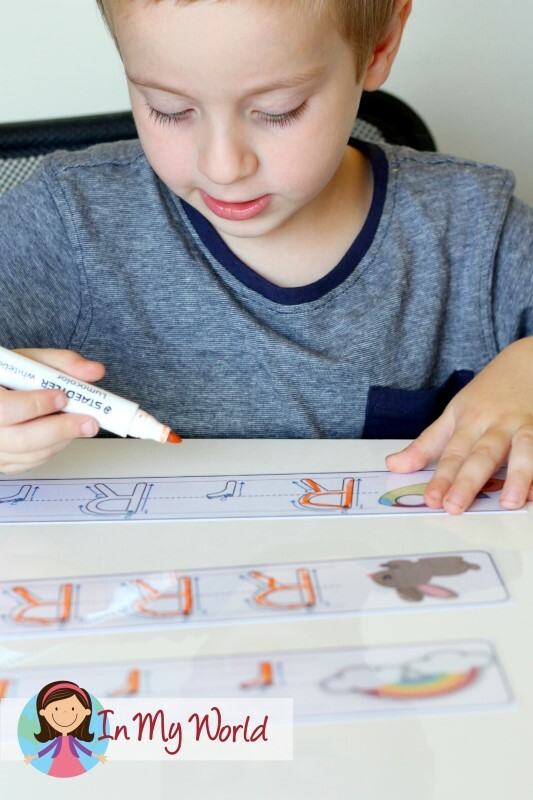 Then Filip ordered the beginning letter R puzzles from my CVC Puzzles unit to make CVC words. 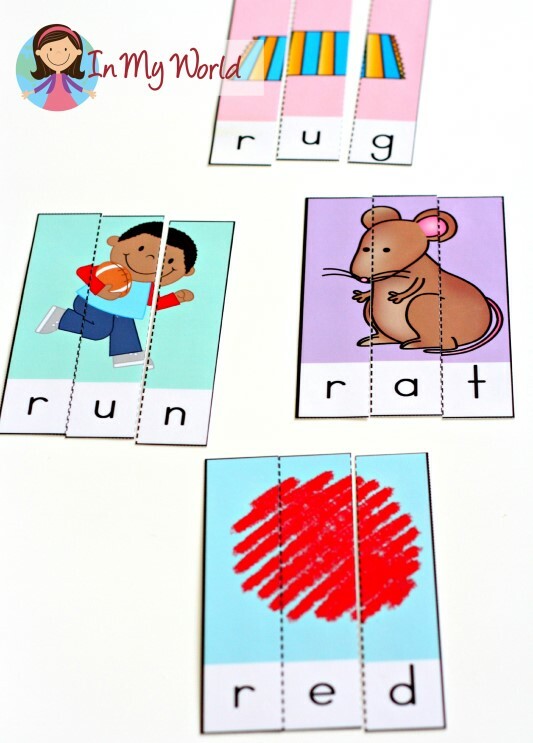 We finished Day 2 with our beginning letter R Phoneme Segmentation Cards. 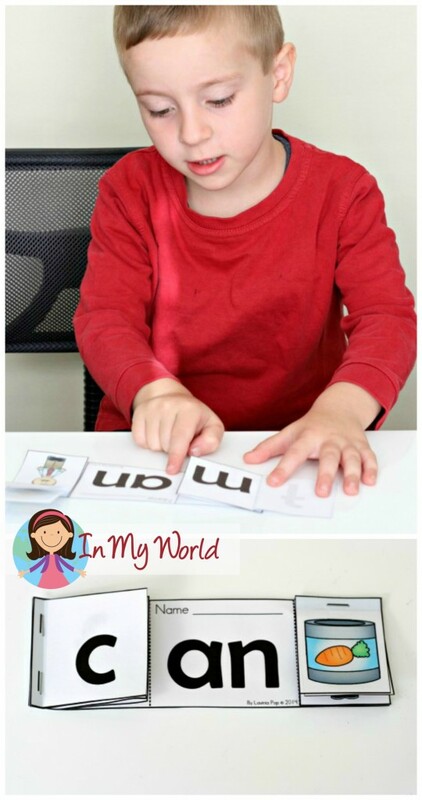 Then we assembled and read our “AN” word family flip-flip book. Moving on to Numeracy, Filip followed the Number 10 through the maze. Then he practiced writing the Number 10 and displaying it on the base ten-block. 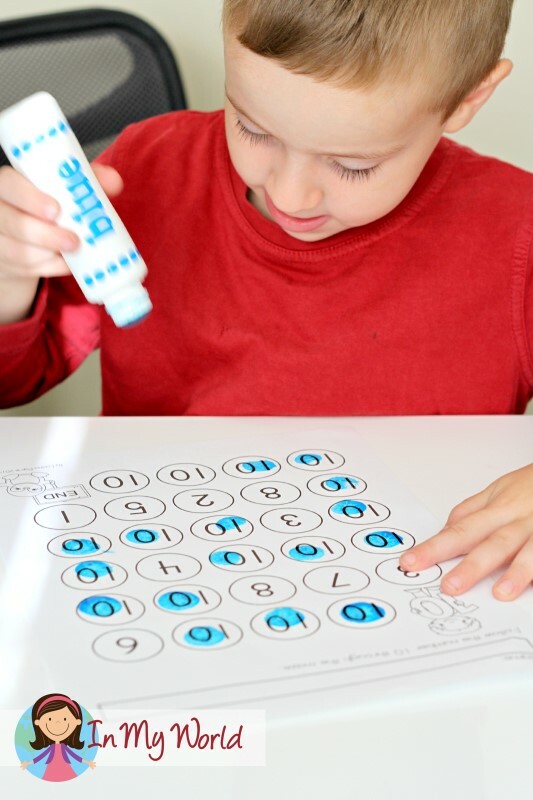 Next, we read our Number 10 flip-book and Filip used dot paints to dot and count the sea animals on each page. 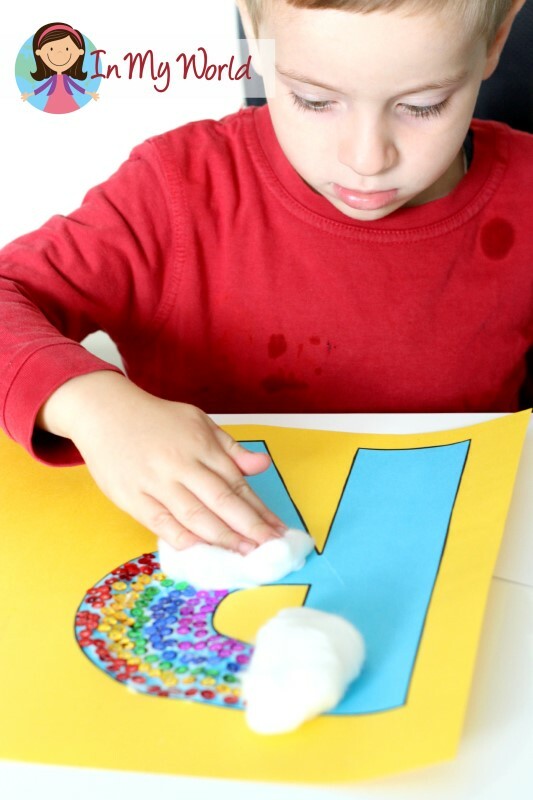 Of course, our Preschool learning would not be complete without our letter craft! 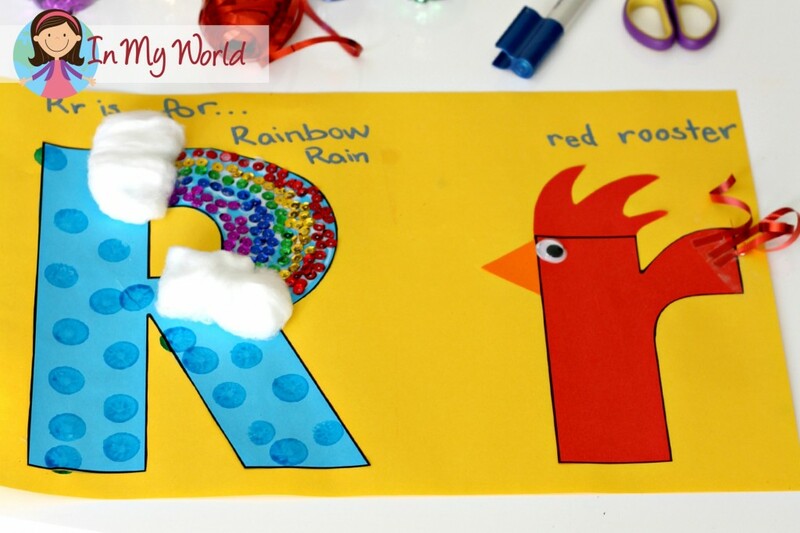 This week, we did upper case R for rain and rainbow and lower case r for red rooster. Yes. We used sequins! 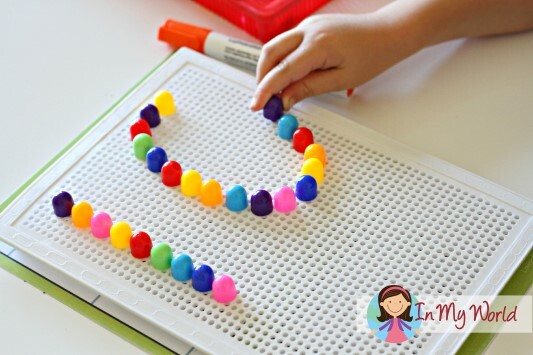 Great for fine motor, but Filip needed me to help him. 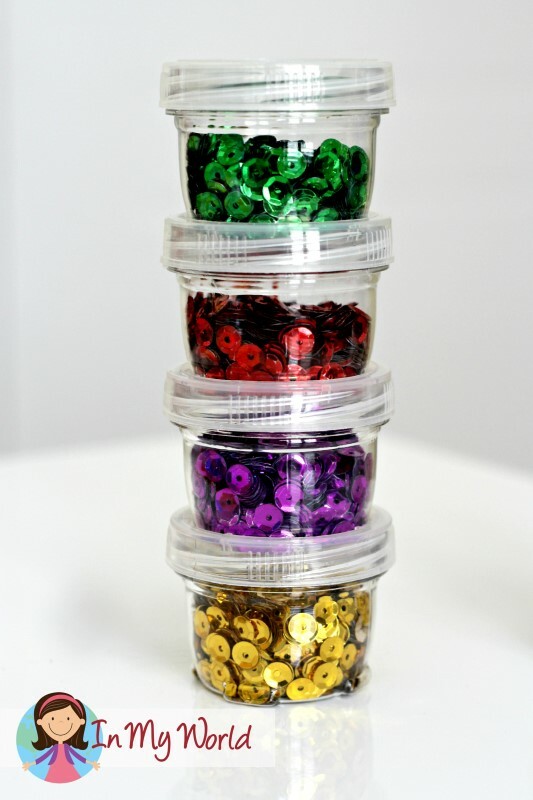 Having them stored in these containers makes the sequins easier to retrieve! Prior to finding these containers, I used to store the sequins in zip-lock bags; you can understand why I’m excited about my new storage solution 😉 And, best of all, they screw-lock one on top of the other! Click on the image below to download a pdf. with all the FREEBIES from this post. I’m searching high and low to no avail for the “mosaic pin board.” Do you have a source? Great unit! Thanks so much for the freebies! I purchased my mosaic pin board from K’Mart (Australia). I just did a search on Amazon.com and found this: http://www.amazon.com/Quercetti-0923-Game-Design-Mosaic/dp/B001DXGYQC/ref=pd_sim_sbs_t_7?ie=UTF8&refRID=1QAK1WJQ4V5YEXAW1G4M. I’m not sure if it’s the same as the one I have, but it looks quite similar! I have seen the boards in a Constructive Playthings catalog. 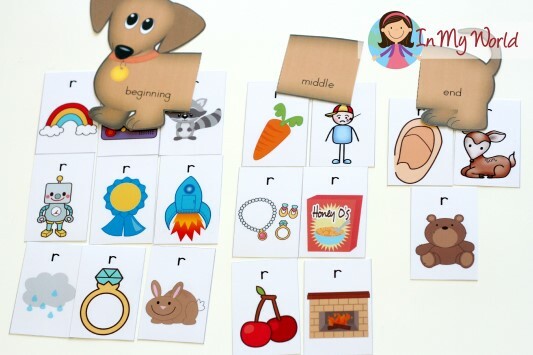 Do you sell the entire alphabet of phoneme segmentation cards? I would love to purchase them for my kinder class. 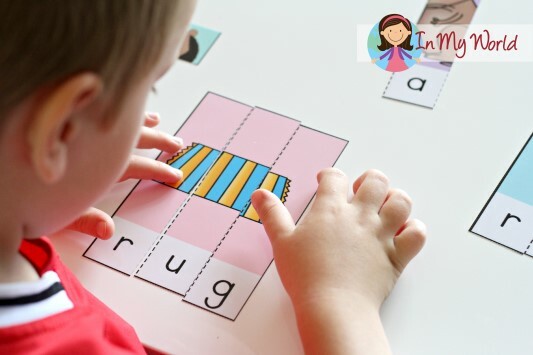 Do you know the name/brand of the letters you use for the CVC words? Lavinia, your photos are beautiful. What camera and light do you use?